The Cascade Geographic Society is interested in Preserving the Past . Educating the Future through the properties and museums. Oregon Country Settlement Living History on the Oregon Trail. 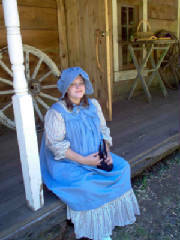 Pioneer Days at the Oregon Country Settlement. We hope to add to the Pioneer Days each year.